Only fun things and freebies for today. I'm off to do some shopping today—I've never been this far behind in my Christmas shopping and I'm entering a total panic mode. Ack!! Today's weekly freebie is up! 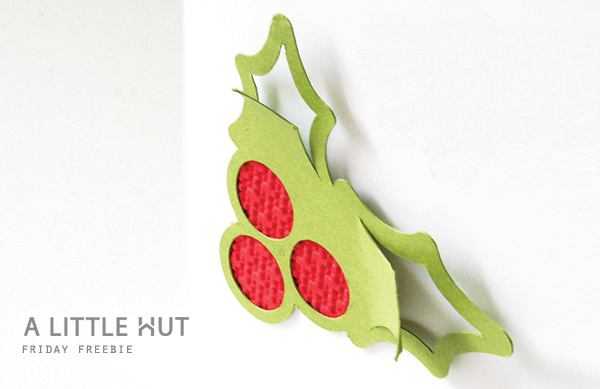 The texture I added to the red paper is a Stampin' Up Square Lattice embossing folder. - Gift card holder freebie - Here's a downloadable freebie that I designed exclusively for FedEx. The printing and thick paper made it feel like something I'd bought at the store. Loved the richness of color (fyi - they paid me for the project—not for saying this). - A cheery Santa download - Download this cheery Santa for your desktop, iPad or whatever! It's illustrated by a friend and very talented designer Von Glitschka. - Paper lamps - Gorgeous lamps and video about the artists. I posted this on Twitter I believe but I have to repost it here just in case you missed it. Well worth the watch. 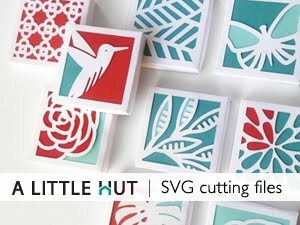 - How to score lines with the Silhouette - a an easy to follow tutorial of how to score lines in your paper cut projects. Thanks for the great tips and mention Linda! BTW - thank you so much for all your comments this past week on my Facebook page. I read every single one and they all make me smile. You're all awesome!